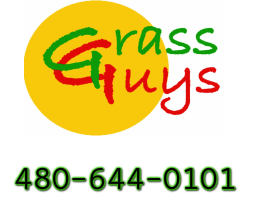 Winter Rye Grass Pricing - Grass Guys, Inc.
We base our pricing on the size of your lawn and offer discounts bringing it down to our cost for customers taking service! **If you are not a regular maintenance customer, please add $.03 per square foot. The minimum install price for customers is $30 for those yard under 250 square feet. The minimum install price for non-customers is $50 for yards under 250 square feet. If you are a current customer, for your convenience we automatically add the rye service to your bill since most people take advantage of this great service. This does not mean that you have to take the rye service we simply add it to your bill so that you have the information. We start prep work the second week of September for rye installation by the last week of September which is why we put it on our September bill so we can schedule our customers on a first pay first serve basis as well as get materials etc. We do accept credit cards, call us if interested: (480) 644-0101. For those of you taking advantage of our auto-draft option for your regular monthly maintenance we will need your authorization to process your rye install and get you on the schedule so if interested please call. Thank you. Most of our customers are required to plant rye grass by their associations. Some customers are only required to do the front or the back only and were wondering if we could just do the front or back. We most certainly can. We should have your front and back square footages separately on file if you would like a new quote on overseeding and maintaining just the front or just the back. Please call if interested.